Never have I met a child that complains so quickly when her bum is submerged in water. 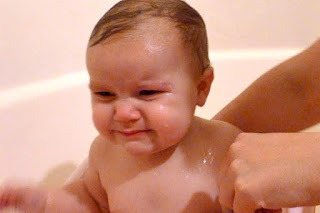 My child eats anything, sleeps beautifully, and laughs like Santa - but bath time be damned! 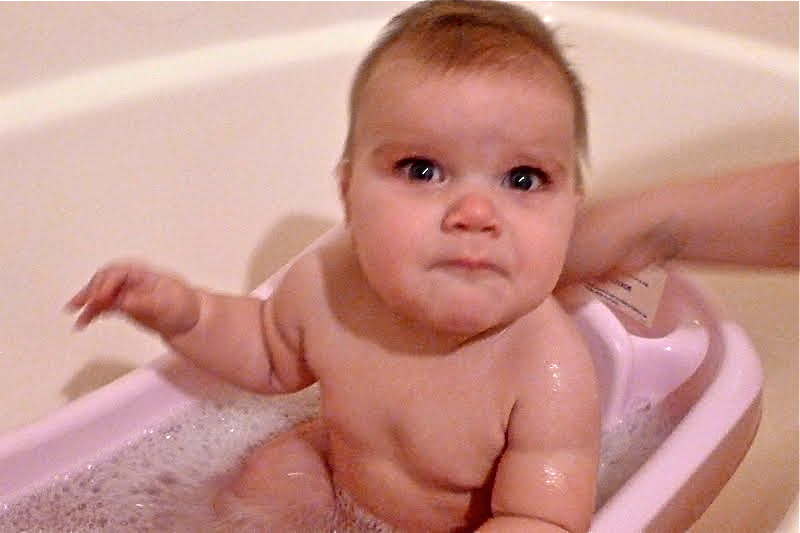 She will not be duped into the tub! Why do you hate me, mom? Why are you letting her do this to me, Grandma? We've tried toys, we've tried happy faces and songs, we've tried more water, less water, more soap, less soap, etc. The only thing that semi-works is to clean her as quickly as possible while singing Rogers and Hammerstein in a Julie Andrews voice. She is thrilled when she escapes her liquid torture chamber to cuddle with daddy.